Applications for U.S. federal transportation funding, once allocated to then declined by the State of Florida, were due by Tuesday of this week. Among the applicants were Amtak, seeking $1.3 billion, and Governor Cuomo of New York, seeking $517 million. The first ever Asia-Pacific Cycle Congress, hosted is Brisbane, Australia, is now calling for abstract submissions. The Congress will provide a forum for cycling experts to network, share experiences and promote cycling. Submissions are due by April 15. The U.S. Department of Transportation is giving New York State $3.3 million towards the development of a high-speed rail corridor that’s planned to become a statewide network. A new research study by the University of Southern California indicates a correlation between certain types of brain damage and highway pollution. The cited neural impairments result specifically from particulates of internal combustion engines and the burning of fossil fuels, as well as the weathering from car parts and roads. The League of American Bicyclists announced its awards for America’s Bike Friendly Universities. Stanford University was honored with the highest award of Platinum, and University of California, Davis and Santa Barbara shared the next highest award of Gold. The annual cost of owning a new sedan increased by more than $289, according to new statistics from the American Automobile Association. The cost increases come despite lower maintenance and insurance rates. U.K.’s government will provide $5 million to the Mayor of London to help improve air quality and meet binding European Union standards. Planned measures within the city include trials of dust-suppressant technology and the deployment of clean buses in especially polluted areas. The Quebec government unveiled its 2011-2020 Action Plan for Electric Vehicles this week. “We intend to transform Quebec society into a North American leader in the field of sustainable mobility through the use of hydroelectricity,” Premier Jean Charest said. The Tri-State Transportation Campaign was honored this week in winning the 2011 Environmental Protection Agency Environmental Quality Award. Touted as “the highest recognition presented to the public by EPA,” Tri-State’s award resulted from its work promoting sustainable transportation and land use policy in New York. The Philippine Department of Energy is pursuing funding from the Asian Development Bank for its Fueling Sustainable Transport Program. The program seeks to remove traditional gas-intensive vehicles from the road and transition to electric vehicles, hybrids and natural gas-fueled vehicles. In a survey conducted by the Association of Pedestrian and Bicycle Professionals to investigate factors that would encourage women to bicycle more, it was found that 73 percent of women who worry about bicycling safety named “distracted driving” as a main concern. Topics of green infrastructure, urban agriculture, mobility, commerce and social gathering will be discussed at the ReThinking America’s Streets charrette to be held this July in Berkeley, California. The majority of Americans prioritize the smart growth of their neighborhoods over house square footage, reports the Community Preference Survey sponsored by the National Association of Realtors. Seventy-seven percent of respondents said they are likely to pursue neighborhoods with sidewalks and pedestrian-friendly features. Attempts at establishing a standard plug for European-made electric cars has reportedly been stalled due to dissent from French and Italian groups. Hopes were to create an industry-wide standard by March 31 and bring electric vehicles into the mainstream. 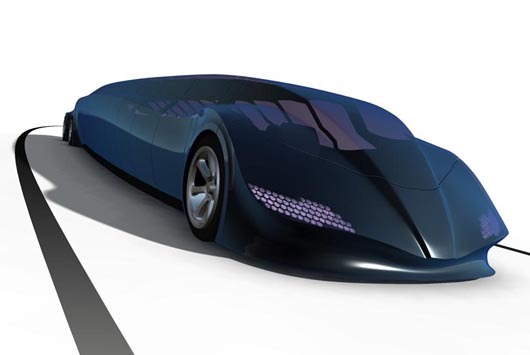 “Superbus,” a vehicle that combines capabilities of sports cars and traditional buses, unleashed its first prototype this week. Pioneered by Dutch astronaut Wubbo Ockels, the vehicle boasts a top speed of 155 miles per hour and has seating for 23 passengers.